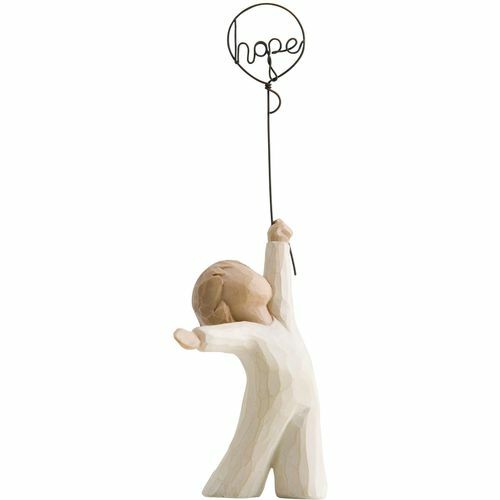 Message on the card inside reads: "Hope lifts us up"
This Willow Tree ornament depicts a child holding a ballon with the word hope written inside it. The captivated, skyward-facing posture of the young child could represent a child-like wonder that we could all do to remember in our lives. 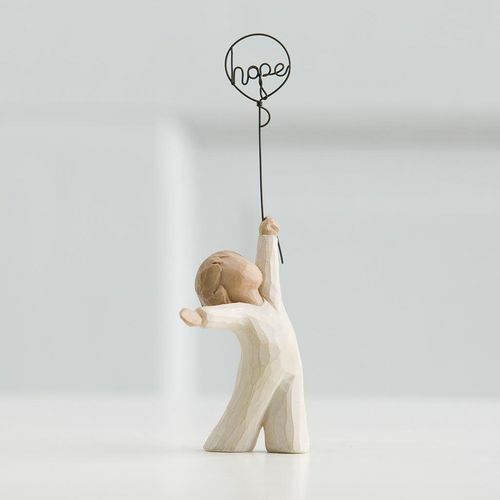 The message is a powerful and uplifting one, making this a perfect gift for an expression of positivity.